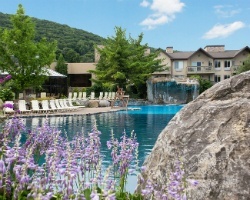 Combining the natural mountain beauty of the Kittatinny Mountain range with state of the art facilities and unparalleled amenities, *Minerals Hotel and Spa at Crystal Springs* resort promises the spa vacation of a lifetime. Explore the resort's 7 indoor and outdoor heated nature pools with caves and cliffs, sauna, Jacuzzi, steam room and cold plunge, or experience the stunning natural beauty of Mountain Creek. In addition, enjoy 6 championship golf courses, spectacular indoor and outdoor pools, award-winning spas, a 50,000+ bottle wine cellar, 11 varied restaurants, cafes and bistros, and 8 indoor and outdoor catering facilities. 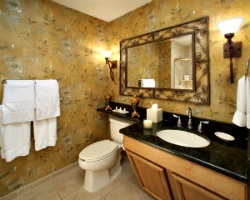 For more information, visit www.crystalgolfresort.com. Price Reduced & Still Up for Negotiations! This package includes free passes for 5 to the waterpark, ski area and the spa golf course until 2023!